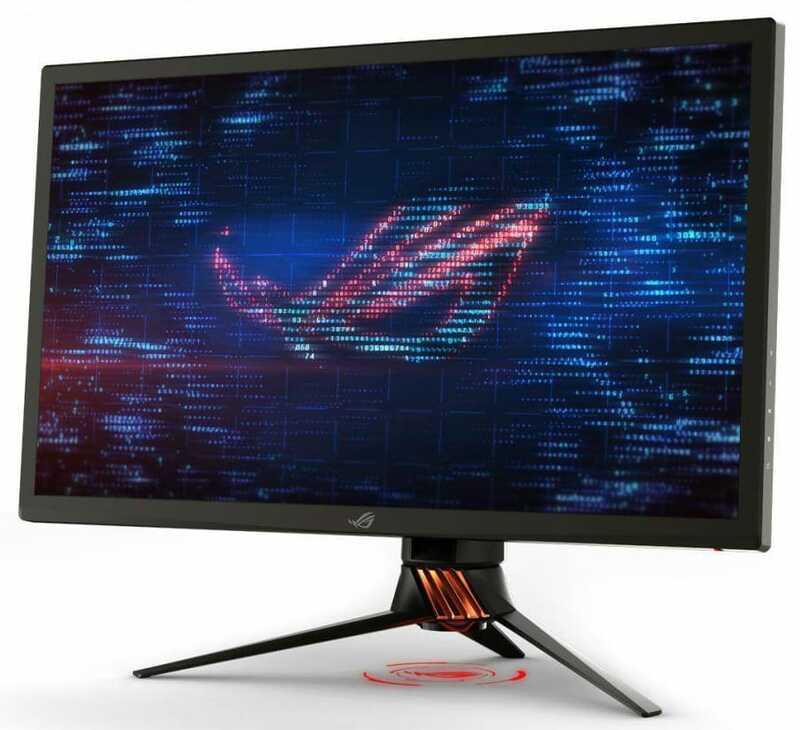 Asus is sort of the no-compromises brand in the category where extreme imaging performance, responsiveness, and design come together. The brand’s several gaming lines have spawned well-loved variants that are widely considered as the universal standard. The brand fills several budget categories in the gaming market, but its top-end offerings are the tip of the brand’s marketing spear. 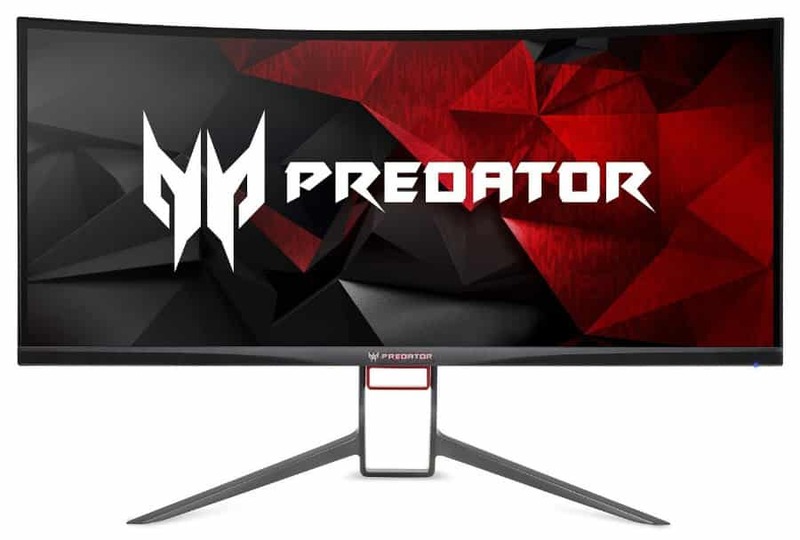 Acer is another famous brand that deals in the high-end category with its favorite Predator line that offers the most reasonably-priced G-Sync monitors. 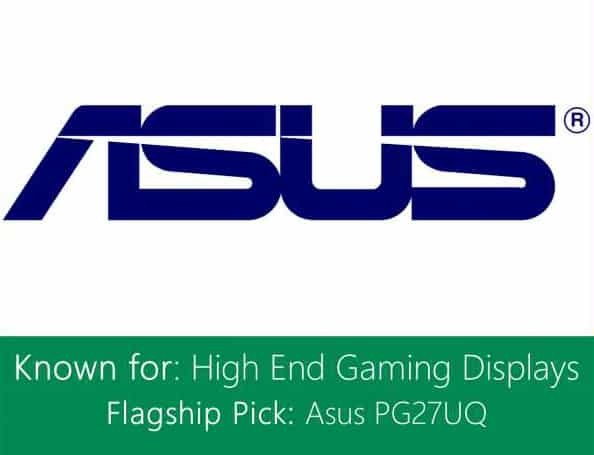 Asus is more popular due to their more significant market share, but this brand isn’t considered as second best. 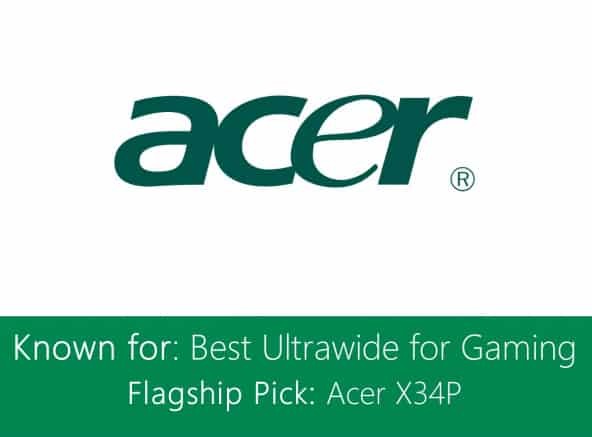 What’s excellent about Acer’s gaming monitors is their considerably lower price for products that perform on par, if not better, than the more expensive brand. Better pricing, more accessible to own! 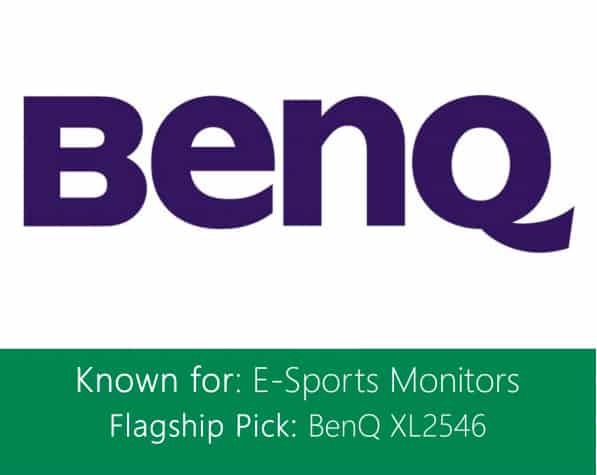 BenQ is one of the giants in business not because they have the most impressive portfolio, but their presence and reputation in competitive gaming are solid. It’s also a considerable factor that AU Optronics, one of the makers of gaming panels, is one of their subsidiaries. It’s also no secret that we at Monitornerds love their no-frills designs that are functional and timeless. 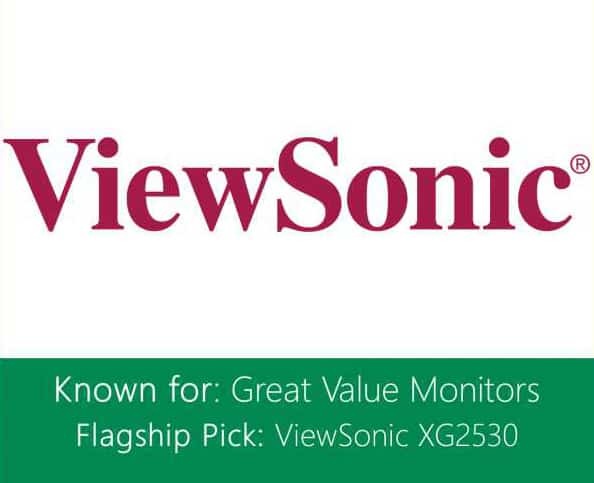 ViewSonic is one of the underdogs in the high-performance display market, but their offerings certainly do not disappoint. Some models like the one shown below are one of the cheapest you can get without compromising capabilities and features. 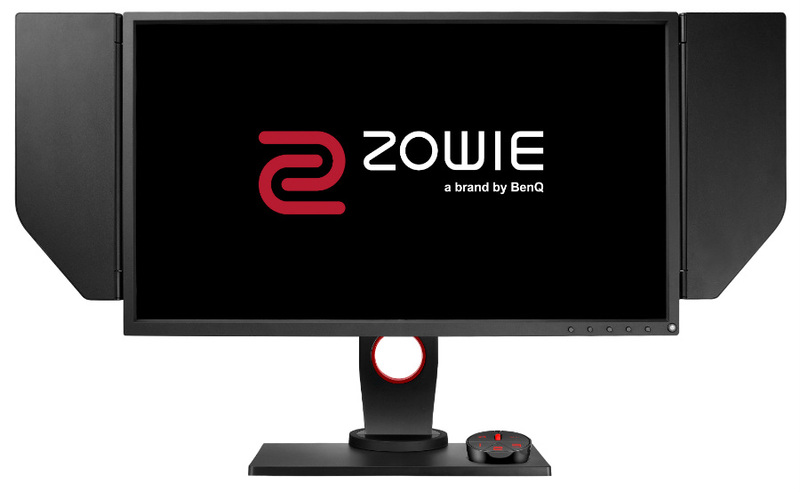 All things considered, monitors from this brand are the most competitive for every dollar spent. 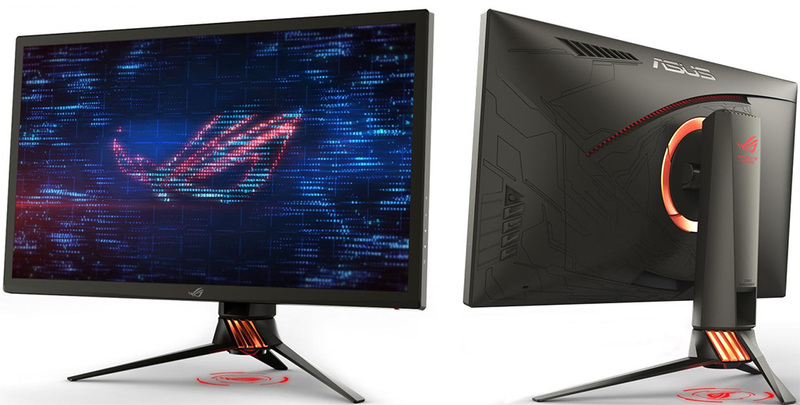 In more ways than one, Asus, Acer, BenQ, and ViewSonic have exceeded our expectations in performance, image quality, and design. Of course, suitable candidates are not limited to these brands, but we’ve found their products to be excellent in their respective categories. 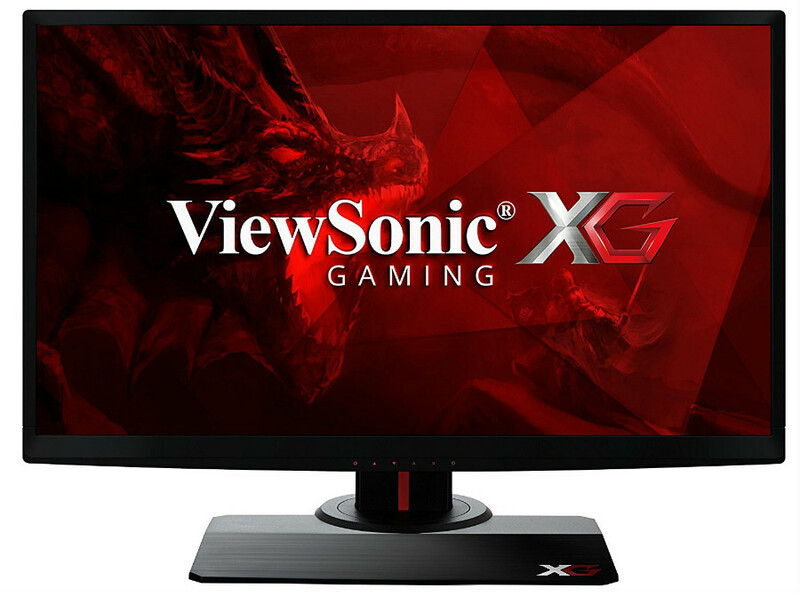 This article’s aim is to help you pinpoint the right gaming monitor for your needs and budget. If you have further questions, shoot us an email or check out our monitor selector tool.